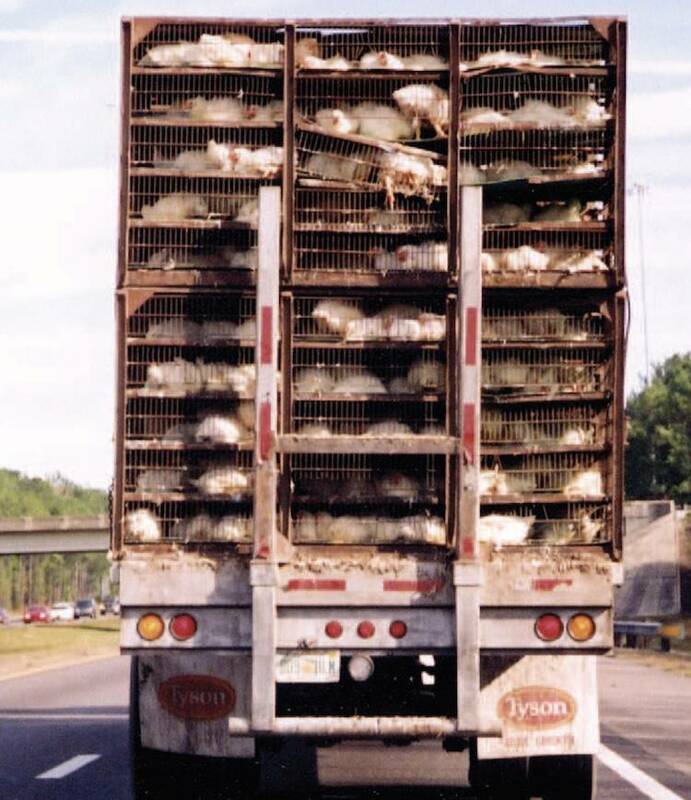 Growing up, in Georgia, Sunaura Taylor would often see “chicken trucks” on the highway: large, flatbed vehicles stacked with live chickens in cages. When one of these trucks sidled up to the Taylor family on the road, Sunaura and her siblings would hold their breaths, appalled, until it passed. “I was always an annoying, righteous vegetarian,” she said, laughing. “Even on that ADAPT march, I remember thinking, Ugh—these people want disability rights, but they’re eating meat.” In 2006, she convinced a worker at a poultry plant to let her take a photograph of a chicken truck; she spent a year making an eight-by-ten-foot painting of the truck, containing portraits of a hundred individual chickens. (After completing it, she became vegan.) She painted a watercolor in the style of a Greek frieze, “Sunnys in Chicken Cages,” in which she appears with the chickens behind bars.